1.1. 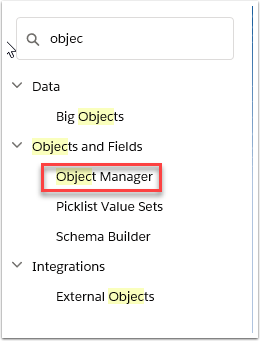 Go to Objects Manager, or type Objects Manager in quick search. 2. Scroll down and select Contact. 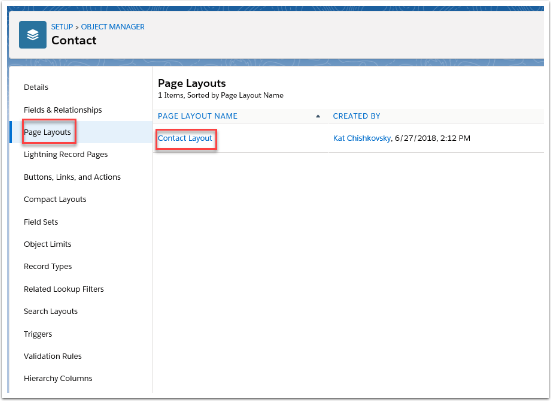 In the Contact object, select Page Layouts from the left menu, and then select the specific layout you are wanting to edit. 3. Drop and drag field buttons onto the Contact Detail page.